Michael Flynn is in the hot seat and Special Counsel Robert Mueller is turning up the heat. He’s looking into whether Flynn was tangled up in a kickback scheme with a Turkish lobbying client. Let me just state that I have no sympathy for Flynn. I have always thought he was dirty and was taking money from foreign governments. What Mueller is reportedly looking at are two payments to Flynn, totaling $80,000 that he made through his Turkish client, Ekim Alptekin. Turkey may be part of NATO, but they are not what I would call an actual ally. The payments are suspicious because they were made between larger financial transfers from Alptekin to Flynn. Flynn signed a $600,000 lobbying contract on August 9th with Alptekin. Mueller is also looking into if the Turkish government itself was actually behind the payments. That would be a really big no, no. Alptekin’s first payment to Flynn was for $200,000 on Sept. 9th. Then four days later, Flynn’s consultancy group, the Flynn Intel Group, also received $40,000 for a consultancy fee. The next month, Flynn Intel received $185,000 on Oct. 11th. Six days later, Flynn Intel paid Inovo BV another $40,000. Mueller has also requested records from the White House concerning Flynn, whom President Trump fired from his national security adviser post on Feb. 13th, just 24 days into the job. That was supposedly for lying, but there are also Russian connections here and these aren’t fake ones. 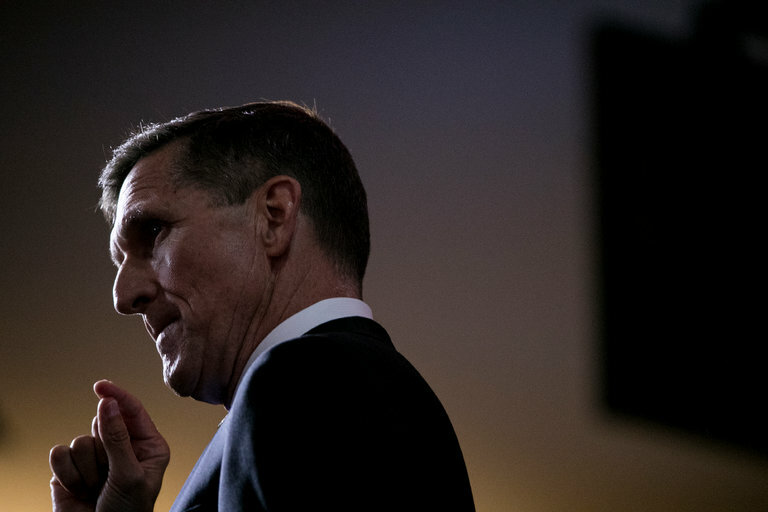 Special Counsel Robert Mueller is reportedly looking into whether former national security adviser Michael Flynn was involved in a kickback scheme with a Turkish lobbying client. Of interest to Mueller, according to The New York Times, are two payments totaling $80,000 that Flynn made last year to his Turkish client, Ekim Alptekin. The payments have raised suspicion because they were made in between larger financial transfers from Alptekin to Flynn, who signed a $600,000 lobbying contract on Aug. 9, 2016. Mueller, a former FBI director, is also looking into whether the Turkish government was behind the payments to Flynn, the former director of the Defense Intelligence Agency. Alptekin is chairman of the Turkish-U.S. Business Council, a trade organization that is controlled by the Turkish government. Having said that, Mueller is looking for anything he can tie to Trump personally on Russia. Flynn is not that tie. Whatever Flynn was into was set up before the campaign and is on him. In addition to Flynn’s consulting work during the presidential campaign, Mueller is probing potential collusion between the campaign and the Russian government as well as Trump’s past business activities. I fail to see why Trump’s business practices are even part of this even if they did involve Russia. This still looks like a witch hunt to me. As for Flynn and a kickback scheme with Alptekin… that has been rumored for months. It was set on fire when Flynn retroactively filed documents with the Justice Department detailing his work for Alptekin. Flynn also filed the disclosures on March 7th, months after the Justice Department informed him that he would need to register as a foreign agent of Turkey because of his work for Alptekin, the chairman of the Turkish-U.S. Business Council, a trade group controlled by the Turkish government. In those disclosures, Flynn revealed that he was hired by Alptekin to investigate Gulen (the man that Erdogan claims is behind a failed coup in Turkey) and to produce a documentary film about the reclusive cleric. Alptekin also arranged a Sept. 19th meeting in New York City between Flynn and two top Turkish government ministers. The Gulen extradition issue was discussed in that meeting. Former CIA Director James Woolsey, who served as an unpaid adviser for Flynn Intel Group, attended that meeting. He claims the extradition of Gulen was discussed there. Alptekin is denying all of this. It’s a mess and Mueller is going to make hay from it. Flynn is guilty here, I just hope it doesn’t hurt the President. And meanwhile, Clinton is still walking around and not charged with a damn thing when she was even more guilty for what she did. She made millions off Skulkovo and other schemes with the Russians. This isn’t fair in any respect. Yes, nail Flynn, but that justice should also be applied to the left.